Mesosilica is a true colloidal silica mineral supplement and has the highest particle surface area for maximum effectiveness. Save 45% vs. the single bottle price with gallon size jugs. Using our secure server or by phone. MesoSilica is an all natural dietary mineral supplement and is a true colloidal silica, not an ionic silica. It is made using the highest purity, sterile, reagent grade deionized water and has a high bioavailability due to small particles. 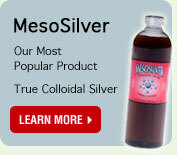 Purest Colloids, Inc. is the exclusive worldwide producer of MesoSilica. Contains only pure pharmaceutical grade deionized water and .999 pure silica particles. Concentration: 600 ppm (minimum) of silica nanoparticles. Small silica nanoparticles, 6 nm typical. High particle surface area for maximum effectiveness. Tasteless - tastes like water. Helps maintain integrity of the connective tissue in the heart and blood vessels. May reduce the signs associated with age related mental decline. 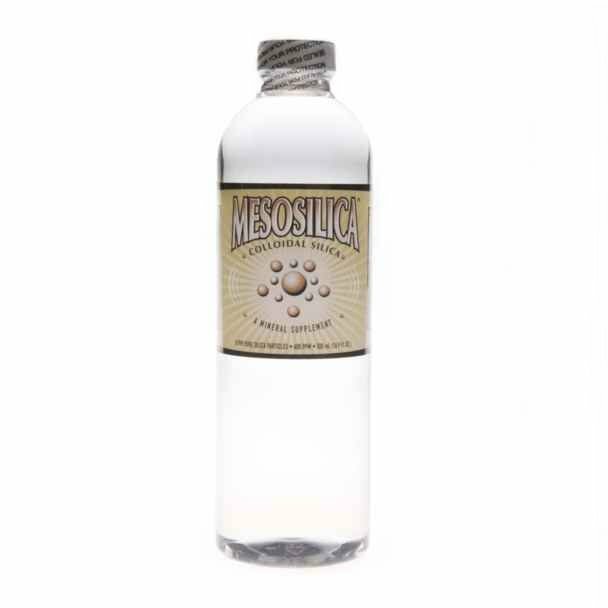 MesoSilica is manufactured in an FDA registered facility, contains only pure water and pure silica and is non-toxic. See Material Safety Data Sheet (MSDS). No adverse side effects have ever been reported. Does not interact or interfere with any medications. Has an indefinite unopened shelf life. The dosage for MesoSilica is typically one tablespoon (15mL) daily as a mineral supplement. Actual dosage will vary based on individual needs. A 500 mL bottle will provide one months supply when used at a dosage of one tablespoon per day. MesoSilica is a clear colorless liquid. There is no noticeable turbidity (cloudiness).